Research: Connecting new discoveries across solar systems to test fundamental theories about the atmospheric conditions on giant planets. When NASA’s Cassini spacecraft recorded the strongest storm ever detected in Saturn’s atmosphere, Cheng Li felt compelled to determine its cause. His deep curiosity led to choosing planetary astronomy as a career—and to generating insights that explain the 30-year periodicity of storms on the ringed planet. Cheng believes that planets are natural laboratories for studying the fundamentals of atmospheric dynamics and chemistry across the galaxy. Mixing experimental methods and theory, he uses spacecraft observations, numerical models, and calculations to more rigorously simulate the climate of planets in and beyond our solar system. His work has culminated in a novel 3D model for understanding giant planets. As an active team member in the Juno mission to Jupiter, Cheng contributed the strategy scientists are using to measure water and ammonia on that planet. 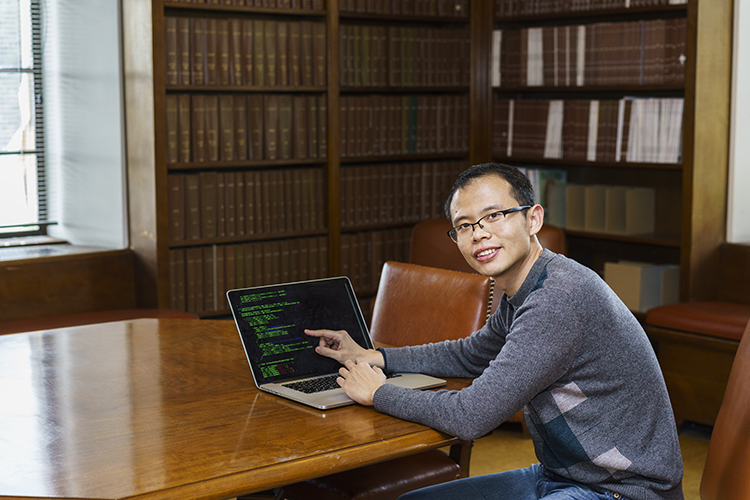 In his fellowship, Cheng will use information recently collected from the Juno mission to challenge and refine theories about the atmospheres of giant planets. He aims to discover connections between results drawn from our own solar system and findings from exoplanetary systems. His work will include profiling exotic cloud-forming materials on distant worlds to better understand their formation, distribution, and dissipation. 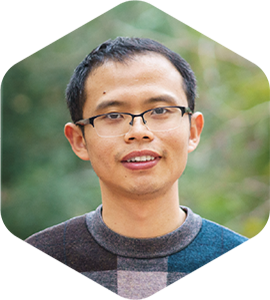 Cheng is excited by the potential to see his research extended to include more planets and observation topics during current and future space missions. In 2016, he received a Ph.D. in geological and planetary science from Caltech. Prior to receiving his 51 Pegasi b Fellowship, Cheng was awarded a NASA Postdoctoral Program Fellowship.